President John F. Kennedy enjoyed very high public approval ratings compared with most modern presidents. His presidency was, of course, abbreviated, so his numbers weren’t dragged down by the usual dip into the second term. That high overall average, though, is deceptive. As Kennedy’s presidency went on, the approval rating trends were heading steadily downward. By September 1963, JFK’s approval rating was at the lowest point of his presidency, while his disapproval rating was at its highest. 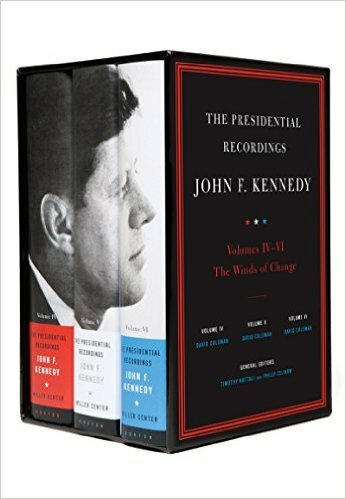 By the time his presidency was brought to an abrupt end, the trends in the poll numbers suggested challenges for Kennedy as he looked ahead to the 1964 election. Counterintuitively, the highest point of Kennedy’s approval ratings came in the wake of the his most serious foreign policy stumble: the Bay of Pigs. Despite the embarrassing admissions the White House was forced to make about American involvement in the botched invasion, Kennedy received a bounce in the wake of that episode. Aside from that spike, though, Kennedy’s approval rating was falling. He had assumed the presidency a mostly unknown quantity, which was reflected in the relatively high “no opinion” rate at the start of his term. Over the course of the year, many of those undecideds formed an opinion. And many of those formed a negative opinion. After a solid start to his second year in office, Kennedy’s approval rating slid steadily through the summer and early fall, with a commensurate increase in his disapproval rating. Federal government intervention in civil rights confrontations such as led to regional divides. The Cuban missile crisis of mid- to late-October led to a large bump on the eve of the midterm elections. But while many at the time–and certainly many Republicans–credited Kennedy’s performance during the missile crisis with helping Democrats, scholars have subsequently challenged that contemporary judgment. Kennedy started the year still enjoying the post-Cuban missile crisis bounce, but the numbers had started to slip. By September, his approval rating had slid to the mid-50s, the lowest of his presidency. A small rebound of 2 points in the following months did not establish a strong pattern. Significantly, the disapproval rating climbed steadily throughout the year, which might have posted an intensifying problem had Kennedy lived to contest the 1964 presidential election.